Energy veterans Stephen Clark and Wikus van Niekerk, with Jim Petrie and Dave Wright, have unpacked finer details of Total’s Brulpadda gasfield discovery, estimating its likely size, potential development and broader impact on South Africa’s hydrocarbon fuel security. Total entered into the 11B/12B exploration block in 2013, taking over operatorship from prior explorers, and started exploration drilling in 2014. 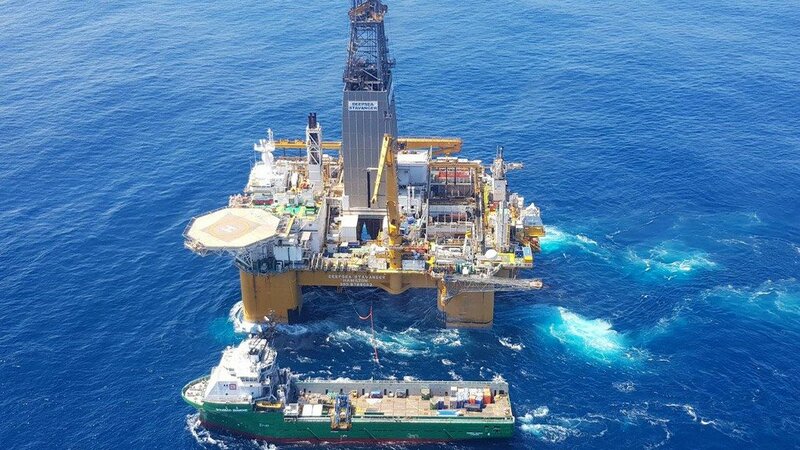 Shortly after the original Brulpadda exploration drilling started, the operator reported that it had abandoned the drilling effort owing to high current conditions at the well site. “The sea state in this area of the Cape South Coast is a challenging one for any exploration. Adding to this complexity is serious drilling depths. The seabed over the Brulpadda site is about 1 450 m below the ocean surface,” said the experts. The potential hydrocarbon reservoir is at least a further 2 km below the seabed. To put these numbers in perspective, all the North Sea rigs drill off the continental shelf in water depths less than 150 m.
BP’s Deep Water Horizon rig, in the Gulf of Mexico, drilled in about 1 500 m of water; so similar depths to the Total rig, but in a much more benign sea state (the hurricane season notwithstanding). After Total brought in Qatar Petroleum and Main Street Partners in 2018, the consortium returned with a different drilling rig in late 2018 and drilled the Brulpadda 1X well, which it completed early this year. This confirmed the existence of gas condensates in the Brulpadda prospect, changing it from a prospect to the Brulpadda field. At this stage, Total does not know what percentage of gas condensates is present. Should a commercial decision be taken to explore or develop this prospecting opportunity further, its economic sense will be dictated by the ratio of liquids to gas which can be landed on shore. The more liquid, the stronger the business case for South Africa. The prospecting language associated with each field is a function of the confidence which can be placed on the estimate of recoverable hydrocarbons. From publicly released information from the operator, the experts roughly estimate that the field is about 20 km long and 2.5 km wide. The operator reported a net thickness in the exploration well of 57 m, so it can be assumed that the average thickness over the accumulation is in the range of 30 m.
Geophysical estimates have suggested a potential gas reserve in the range of 56-billion cubic metres, of which around 45-billion cubic metres can be recovered. This is equivalent to 1.9-trillion cubic feet of gas, with an estimated recovery of 1.5-trillion cubic feet, or 300-million barrels of oil equivalent. 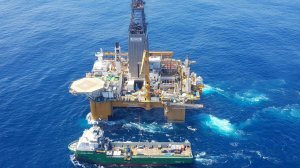 According to Total, Brulpadda plus the four other prospects in the area potentially comprise up to one-billion barrels of total resources of gas and condensate. The experts estimated that, over a twenty-year production period, with an average of six-million cubic metres a day production, the Brulpadda field could produce about 1.3 GW of baseload power in a 50% efficiency gas-to-power plant. If the resource were to be used for the production of diesel, it could produce around 21 000 bbl/d of fuel over a 20-year life. 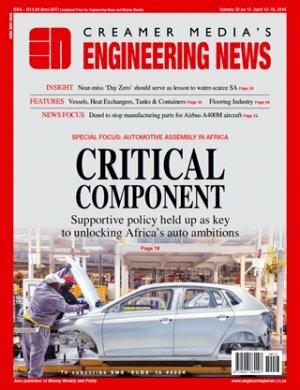 “While Brulpadda may not be the game changing discovery that some press has made it seem, it is a significant discovery and could add value to the South African economy with good strategic oversight. It is likely that South Africa’s electricity sector will continue to be constrained for some years to come. “The Brulpadda gas could provide a significant supply of domestically produced gas for dispatchable power, while helping South Africa meet its global commitments toward a lower carbon-intensive power generation system,” the authors stated.